I plan on returning to my multi-part series on creating a Star Rating System in a future post. This week, I wanted to take a small side detour and talk about how Ken and I have tried to integrate social media into our games. Or perhaps I should say, how we have failed at it miserably. I'm hoping someone will share some words of wisdom as there must be something fundamentally wrong with our approach thus far. 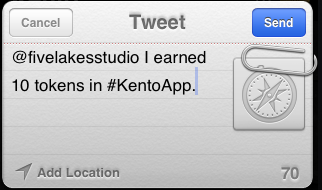 With iOS5 Twitter integration, I thought it would be great to add twitter to Kento. 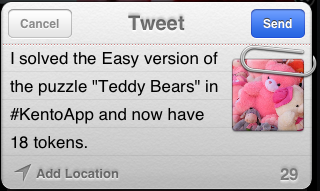 I created a little twitter helper class based on the iDevBlogADay article by Tony Ngo. The class source is just two files and is available for download. 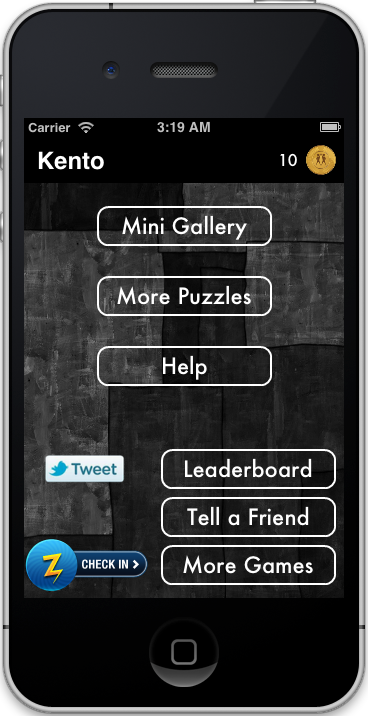 I added a twitter button to two places within Kento: on the main screen and when you solve a puzzle. On the main screen, there is a tweet button that pre-fills in the number of tokens the player has won and a link to Kento. 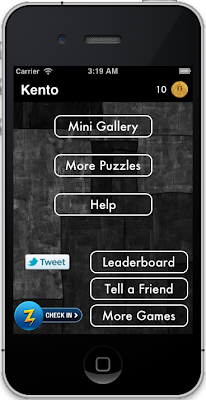 When the player solves a puzzle, we place a tweet button in the upper left corner that pre-fills in some nice information about the puzzle along with a picture. 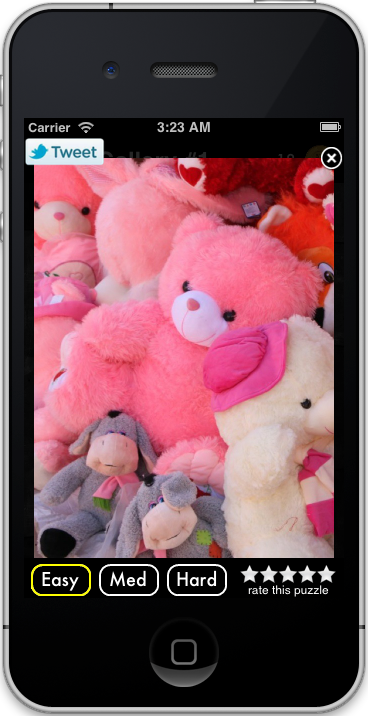 The version with twitter was released about two weeks ago and we have over 17,000 updates/downloads. Can you guess how many times I have seen #KentoApp tweeted or received a tweet to @fivelakesstudio from Kento? The answer is .......... ZERO, if you don't count my test ones. 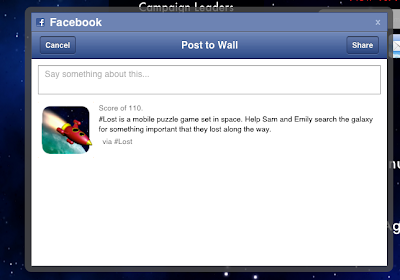 We tried integrating facebook into #Lost in Space with the same result: ZERO usage. People just don't click on the facebook icon. 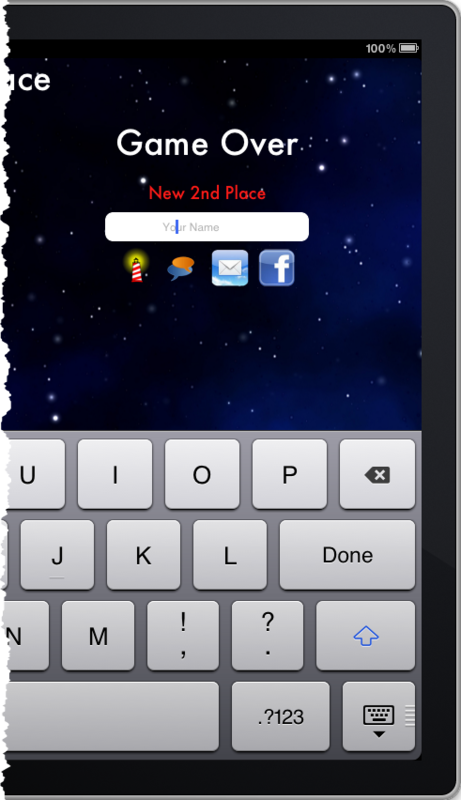 We show a little icon and some game text when the player tries to share their score through Facebook. The puzzle star rating system we added continues to get great usage, but we have totally failed at engaging other types of social media such as Facebook or Twitter within our games. We have also tried things such as HeyZap which has had better results then Facebook or Twitter, but it still doesn't have the level of engagement and usage we would like to see. Has anybody had better luck at integrating social platforms? I'm thinking that slapping a button in a UI just isn't the right way to do this type of social integration. Oh, how exciting! Although buy real instagram followers I won't be attending, I am following the fun and looking forward to hearing all about it. Thanks for sharing!